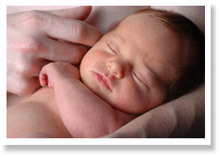 Do you have a further question about HypnoBirthing®? Stay on this page and see if our responses to the Frequently Asked Questions below provide an answer to your query. If all your questions have been answered and you now wish to book your place on the programme, please click on the sign up for classes button below. If you still have a further query or concern, no matter how small, please click to contact me in confidence, by email or telephone and I'll be happy to help in any way I can. considering a voluntary caesarean birth just to escape the fear or anticipated pain of natural birth. HypnoBirthing can teach you how to release all your fears and how to birth gently, calmly and safely without having to resort to having a surgical birth with all its associated risks. Can HypnoBirthing® guarantee me a pain-free labour and birth? Many mums in the UK and internationally have reported to the HypnoBirthing® Institute that they experienced a pain-free labour and birth with HypnoBirthing®. There are so many factors that can affect each individual birth and so it would be impossible for anyone to guarantee you a 'perfect' or a pain-free birth. However, if you are one of the majority of women whose pregnancy falls into the normal, low- or no-risk categories, HypnoBirthing will enable you to experience a much more comfortable birth than you would otherwise experience and greatly reduce or even eliminate the need for any medication at all during labour and birth. I am planning a natural birth with twins - is HypnoBirthing® suitable for me? If current medical advice in relation to your birth is that natural birth is a definite possibility for you, in the absence of any special circumstances arising, you will be able to gain great benefits from the gentle birthing techniques of the HypnoBirthing® programme. It will help you to gain real confidence and trust in your body's ability to birth your babies naturally. You will be able to remain calm, relaxed and in control during your pregnancy and during labour and birth. Even, though the likelihood of needing to have a surgical birth is greater with multiple births, HypnoBirthing will equip you with the tools and skills to remain relaxed and in control no matter what turn your birthing may take. Please call me for an informal and confidential chat if you are expecting twins and are interested in booking a place on the course that I teach. Can HypnoBirthing still help when birth plans change or where a surgical birth is planned due to special circumstances? Does my birth partner/companion have to attend classes? The HypnoBirthing® programme creates a central role for the birth partner in their support of you and the baby during pregnancy, labour and birth. For this reason, the content of each class is based on them being involved and present at the classes. In my experience, those partners, including my own husband, who might be initially sceptical about HypnoBirthing and /or attending the classes are usually the ones who as the classes progress and they gain a full understanding of the reasons why HypnoBirthing works and its significant benefits, become the most enthusiastic and committed participants in the programme. So my advice would be, strongly encourage them to attend and I will do the convincing simply by teaching them the course. I am planning to give birth without a birth partner - does this make HypnoBirthing® unsuitable for me? Absolutely not. Although the HypnoBirthing course assumes the presence of a birth partner, you can still benefit hugely from the course if you intend to give birth with no birth partner present, so it is absolutely possible for you to undertake the course alone and you would be very welcome to do so. Do NHS midwives recommend or endorse HypnoBirthing®? While it is impossible to speak for all UK midwives, many across the UK and in South Yorkshire do support and appreciate the benefits of the HypnoBirthing programme in helping women to have a calm, more comfortable and empowered birth. Indeed, a growing number of UK NHS midwives have, like Alison and Donna, qualified as HypnoBirthing® practitioners themselves in recent years, testimony only to the fact that HypnoBirthing works! From my own experience of giving birth at Rotherham Hospital, the midwives who attended my birth were very supportive and respectful of my birth plan and the HypnoBirthing techniques I used to birth my baby. They were very impressed with my ability to cope so well with natural labour and birth, the post-birth bonding with our son and how energised I was at the end. That felt very much like a strong endorsement for HypnoBirthing®! Are classes really necessary if I buy the HypnoBirthing® book to learn from? The HypnoBirthing®: The Mongan Method book, currently in its third edition has been written by HypnoBirthing® founder and creator, Marie Mongan, as the course textbook, specifically to be used in conjunction with attending the classes taught by certified HypnoBirthing practitioners. Whilst you will gain much information and insight into the philosophy and techniques of Hypnobirthing from the book, the comprehensive teaching, education,discussion and demonstrations of the methods, scripts and accompanying course handouts, provided in the Hypnobirthing classes are key to the programme's success. My ongoing support, guidance and expertise during the classes and beyond will ensure that you are fully prepared for your baby's birth in ways far beyond that which you can achieve through the book alone. Is it enough to just attend classes? Your attendance at and full participation in the HypnoBirthing classes and will go a long way towards helping create the calm, more comforatble and easier birth that you are seeking. However, once you have learned the techniques and methods in class, to really benefit from the them it is important for you to practise them at home right up to the birth. This will ensure that they become like second nature to you and helps to ensure that they remain fresh in your mind for when labour starts. I will advise you on how much practise you need to do and how often. Suffice to say that noone has ever complained about doing the practise because it is so enjoyable to do and so very worthwhile in terms of the benefits you gain from being fully prepared for your baby's birth. When should I book to start classes? The answer to this is... as soon as possible!!! Because class places are limited on both the group and private courses that I provide each month, my advice would be not to delay in booking your place to avoid the disappointment of missing out. You can start the course anytime during your pregnancy up to the last month of your pregnancy to have a very positive birth experience. The optimal time to do the course is between 20 and 35 weeks to give you plenty of time to practise the techniques and to ensure that the learning gained from the course remains very fresh in your mind in readiness for your baby's birth. I am more than 33 weeks pregnant- am I too late to benefit from the course? If you are at very a late stage of pregnancy and have not yet enrolled on the course... do not despair. Provided you can complete the programme before your baby's birth, it is still possible for you, your baby and partner to enjoy the unique benefits of HypnoBirthing. Many women have had amazing births after having done the course as late as 36 or even 37 weeks!! So, if this applies to you, don't delay any further and book your place... In these circumstances (36 weeks plus), I would propose teaching the course to you and your birth partner over a full 2-day period (at the weekend or during the week) to enable you to learn the course material in the shortest possible timeframe and maximise the time you have left to practise. Short-notice bookings are still possible. If you are in this position, please contact me at the earliest opportunity to discuss further. My partner and/or I are sceptical as to whether HypnoBirthing® can really work for us - is this a problem? In my opinion, it is certainly no bad thing to start your HypnoBirthing classes with some healthy scepticism. My husband and I certainly did. I can tell you that in my own experience and those of my fellow HypnoBirthing practitioners, even the most sceptical mums and/or their birth partners have completely transformed their expectations and beliefs in what Hypnobirthing can achieve for them - and this usually happens by the end of class one! No prior belief system or set of expectations are required for HypnoBirthing to work for you. All that you need from the outset is a desire to have a positive experience of labour and birth both for yourselves and your baby. Does using hypnosis in HypnoBirthing® mean I will not be in control? The truth is, it is not possible to make anyone under hypnosis do anything or believe anything that they don't actually want to. You will not be in a trance or a sleep-like state or feel "out of it" in any way. This is because in clinical hypnotherapy, and HypnoBirthing®, you are always fully aware and in control, just profoundly relaxed. Hypnosis is simply a feeling of relaxed concentration, just like when you’re absorbed in a good book. You are aware of what's happening around you- you are just able to tune out of any distractions around you. Another example is when you drive somewhere "in auto-pilot" or when you are daydreaming. Every single one of us go in and out of hypnotic states naturally, on a daily basis. All hypnosis is self-hypnosis. So, there really is absolutely nothing to be worried about. In my own experience I found hypnosis to be a totally pleasant experience and I know beyond doubt that it helped make labour and birth so much easier and more enjoyable than would otherwise have been the case. 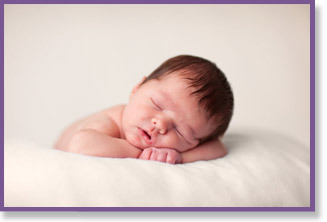 HypnoBirthing® teaches the art of deep relaxation, utilising hypnosis alongside other relaxation tools. As a result of these tools, including hypnosis, you will be fully prepared, totally alert and feel even more in control than ever when the time comes to birth your baby. If you are considering opting for a caesarean section to escape the fear and pain of a natural birth, the HypnoBirthing® programme can help you to avoid having to resort to choosing a surgical birth with all its associated risks.